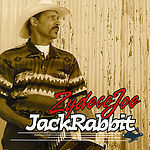 Enjoy these Cajun, Creole & Zydeco tracks on Rockbot. This Cajun, Creole & Zydeco playlist is perfect for your business and has 435 fully licensed songs. Fernest Arceneaux, The Zydeco All Stars, Rockin' Dopsie, Jr.
... and 405 more songs!